How much does it cost to open a coffee shop? Call us on +44 20 3369 0679 or fill out your details below. Millions of people walk around with ideas for businesses. Thousands of people start their own. But very few of these businesses make it past the first year. What’s the deal? We turned to some of the biggest names in the business community. We asked them where would place their bets on if they had to start a business today, and how they’d go about making sure their new businesses succeed. Read on to discover what type of business they’d set up, as well as their tried-and-tested advice on turning dreams into reality. Follow Anita on Facebook and Twitter. Janet Attard has been helping small businesses to grow for 29 years. She is the founder of Business Knowhow and author of two books, The Home Office and Small Business Answer Book, and Business Know-How: An Operational Guide For Home-Based and Micro-Sized Businesses with Limited Budgets, as well as numerous online resources like this guide to setting up a small business. She says that people looking to set up a business should be sure to match their skillset to consumers’ needs. Ivana Taylor has been running DIY Marketers for a decade now. 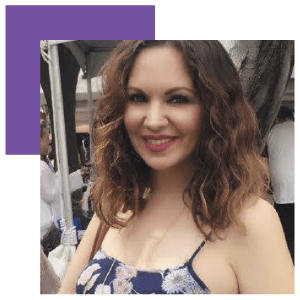 Her website is aimed at helping small business owners and helps them to get more out of small marketing budget and to build their brand on a bootstrap. She also hosts Bizapalooza, a small business chat session that meets every Monday on Twitter. She says that the type of business you set up is less important than making sure that your skills are aligned with what consumers want, and starting to market your business from the start. Follow Ivana on Facebook, Instagram, and Twitter. 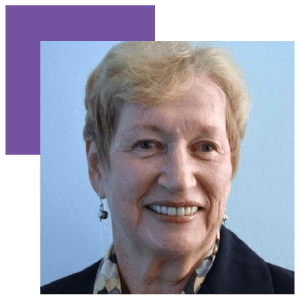 Having worked as an executive coach and consultant for years, Eileen McDargh runs empowering leadership and training courses for women around the world, as seen on her website. Lately, she’s turned her attention to what are known as Act III women – women who want to return to work after their kids have flown the nest and they’re no longer full-time mothers. “I believe you should only start a business based on two criteria: what do you know and what are you willing to learn that your potential client needs. From my vantage point, I believe the next business for me would be ACT III Women — Re-fire. Don’t Retire. Follow Eileen on Facebook and Twitter. Karen Reyburn’s business, The Profitable Firm, combines accounting and artistry – they’re a marketing agency that works solely with accountancy firms. It’s a niche, sure, but Karen says that deciding to only work with accountants was the best decision she ever made. "I can't imagine setting up another business right now since I'm enjoying my current one so much... but if I were to set up something new, it would absolutely have an exclusive niche focus. I run a creative agency working exclusively and only with accountants, and it was the best decision I ever made to be that specific. The more targeted you can be with your audience and their needs, the more profitable you will be. I advise all my accountants to at least consider serving a niche for that same reason." Follow Karen on Facebook and Twitter. 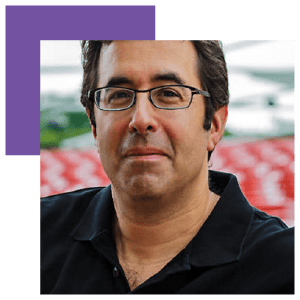 Barry Moltz has decades of experience working as a tech consultant and business speaker, with clients as glitzy as PayPal, Canon, and GE. He's a pro at getting small businesses unstuck. Whatever you do, he says, make sure that you’re passionate about it – you’ll need that to stick about. Make sure you have passion for whatever you are doing. This is the only thing that will sustain you on the long journey known as running your own company. Pursue an area where you already have experience succeeding. You can’t afford to learn on the job for the industry that you are starting your company. Follow Barry on Facebook and Twitter. 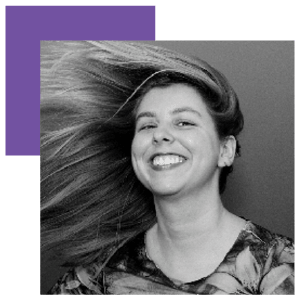 Gemma Went is a business mentor and digital strategist with years of experience behind her. 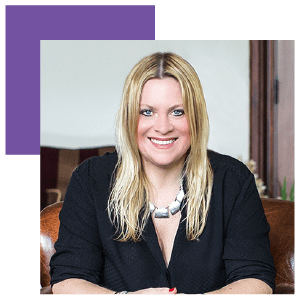 She’s set up two six-figure businesses of her own, and helped hundreds more businesses to grow. She thinks you shouldn’t just ask what you’re setting up, but why you’re doing it. What's my WHY for starting this business? Is it purely financially driven, or do I want to create impact, or do I want to change the status quo, or something else? Getting clear on your WHY and aligning that with what you do every, single day, makes it so much easier to create something you love. And doing something you love is hugely important because running a business is tough and when the going get's tough, it's hard to keep going when you don't truly love it. For example, my WHY is to help as many small business owners as I can create a successful business. This deep and broad impact is why I do what I do, and I love it. What's my Zone of Genius? The thing that gives me goosebumps. The thing I just LOVE doing. Again, similar to the above, doing what you're brilliant at and what you love doing makes it so much easier to create a successful business. For example, my ZOG is being able to create the right success mindset, the right success strategy, and the right plan to make it all happen. It's easy for me and watching people transform from unconfident business wannabes to bold leaders full of belief and determination, is an absolute joy. Follow Gemma on Facebook, Instagram, and Twitter. 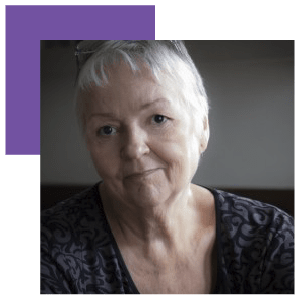 Rieva Lesonsky is a veteran of small business journalism. While editing Entrepreneur magazine 25 years ago, she met the two women she would go on to co-found Small Biz Daily with. 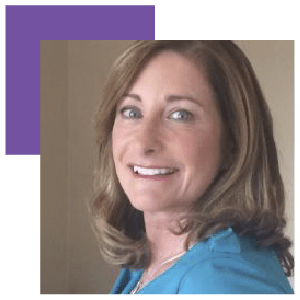 She served on the US’s Small Business Administration’s National Advisory Council for six years, and founded GrowBiz Media, a content creation agency. 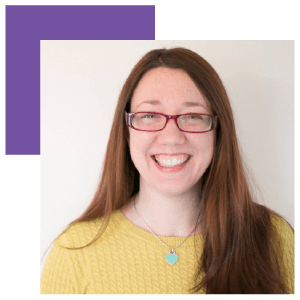 She says that she’d set up an ecommerce business, but points out that it isn’t enough to simply say you’re going to sell things – you need to put money into marketing in order to grow your business. “My dream business was always to open a kid’s bookstore, but I don’t think that would work in today’s world—sadly. If I were to open a business today, given my background and experience, I would do exactly what I’m doing—running a content creation company. But if I were years younger, my dream business would be to create on online global “flea market” where I would sell unique, but affordable items from all over the world. E-commerce is the way to be a retailer these days—it gives you access to millions (billions?) of customers all over the world. The new generations of consumers, both Gen Y (millennials) and Gen Z don’t have to be “convinced” to shop online. That’s their preference. Follow Rieva on Facebook and Twitter. Jane Sheeba runs Best Design and Hosting, a digital agency which does what it says on the tin – they design websites for small businesses and host them on their servers. 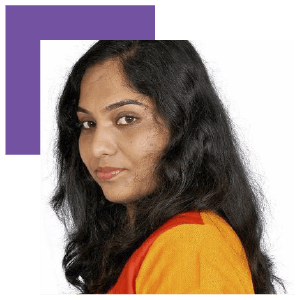 She also runs JaneSheeba.com, which provides courses aimed at helping bloggers and business owners use great content to grow their businesses. She says she would stay in the same niche, providing services that help other business owners to grow their businesses. “If I set up a new business today I would start something to help on online business owners - in any form. In fact I already run such a business where I offer website hosting, design and other technical help! That particular business of mine gives me so much satisfaction because I know I am helping business owners who struggle with the new "online" thing. They don't have to spend time on learning these technical stuff rather than focusing on their business. I remember myself a decade ago starting my own online business, and I spent most of the time figuring out things on setting up my online portal. Things even seemed pointless sometimes because I was not spending time on my business! Follow Jane on Twitter and Facebook. Erica Douglass sold her first business for a cool $1.1m at the age of 26 and hasn’t rested since. She wants to help people make money, but also to make their lives more meaningful. She says software is the way forward. Find out more about Erica at erica.biz. 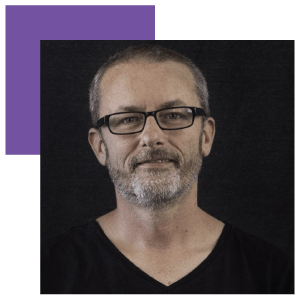 The founder of two companies, 6Q and Bam Creative, the author of The Principles of Successful Freelancing, and the founder of milesburke.com, Miles Burke is a serial entrepreneur with decades of experience working in different industries. He says that people looking to start a business should do things that don’t involve selling time, because you can’t scale them. 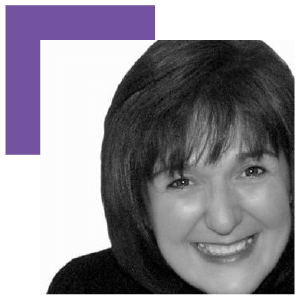 Judith Morgan’s aim is to uplift, to inspire, and to empower. 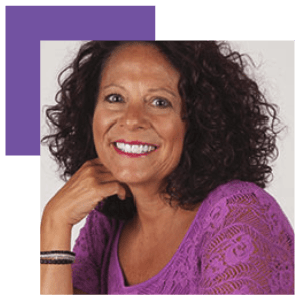 After selling her first business, which she set up and built on her own, she wrote Your Biz Your Way as a way of sharing some of what she’s learnt in a forty-year career, and she shares even more more on her website. If she were to set up a business, it would be a marketing company that works with solopreneurs. Follow Judith on Facebook and Twitter. Laurie McCabe has over 25 years of experience in IT and data analytics, and is the co-founder of SMB Group. She blogs on tech and business at lauriemccabe.com. But her business idea is completely different – she’d create a business that saves the world. 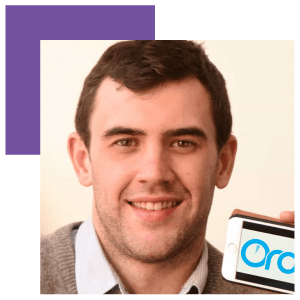 Tom Dewhurst is the founder and CEO of Ordoo, a London-based startup that enables customers to order ahead at their favourite bars, restaurants, and cafes. Before that, he worked for Accenture and Vodafone, as well as founding the Child Identification Programme, which helps parents whose children have gone missing. As an entrepreneur, you're always looking to solve problems. Next time, I would like to think even bigger and tackle one of the world’s big problems. If I could make a dent in preventing climate change or reducing poverty then I would be delighted! This would obviously be a challenge but that's what business is about. Follow Tom on LinkedIn and Twitter. Donald Burns is The Restaurant Coach. He’s got 38 years experience at the coal-face, working in restaurants, running his own, and and consulting for other restaurateurs. He says that people looking to start food businesses should start small and perfect their offer, then go big – we think that his advice is sound no matter what your business is. Follow Donald on LinkedIn and Twitter. Limini Coffee is the brainchild of Youri and Samantha Vlag. They’ve run the company which sells coffee beans and commercial espresso machines, as well as training baristas, for a decade. Ten years is a long time to do anything, but they’d start another coffee wholesale business in a flash. “If I were to set up another business then it would be the same! After ten years of running our wholesale coffee business I still genuinely love every day and I will try to explain why. I decided that dealing with people and being creative is something that I very much enjoy doing. Working on a project and trying to improve on it all the time is very rewarding. Owning a small business means being involved and even though it is hard work it is so rewarding because you can see the result of your hard work. The coffee industry is wonderful and you deal with passionate friendly people all the time. Sometimes things go wrong but because we have such a close relationship with our customers (and suppliers) we are able to resolve most challenges with a positive outcome. Coffee is the most fascinating product and so diverse that you learn something everyday. Plus drinking it all day long is just amazing. Follow Youri and Samantha on Facebook and Twitter. 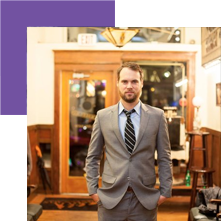 Andrew Bowen is one half of the husband-and-wife team behind Coffee Shop Bootcamp and The Daily Grind, as well as Cafe Success Hub, an online resource and community for coffee shop owners. He says that the coffee world has immense potential. Get training from an expert, either take a course or work with the best, this will save you from making mistakes in the future and build a network of support. Refine your vision- this needs to be unique, the thing that people will talk about and not just 'making great coffee' Then develop your pitch for partners & investors. Start small with a pop-up or shared space unit, using rented/ second-hand equipment. Work every day refining the operation, making it profitable and getting a detailed understanding of the numbers you need to expand. Follow Andrew on Facebook and Twitter. 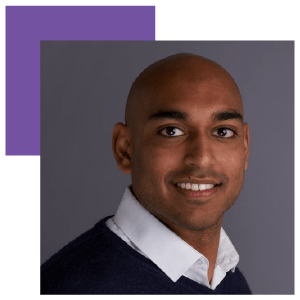 Jevan Nagarajah is a serial entrepreneur. After a stint as head of business development at SumUp he co-founded ShareDining, a platform that helps cooks find commercial kitchens. He’s now working on a top-secret startup project while serving as director at Rascal & Jeeves Collective. 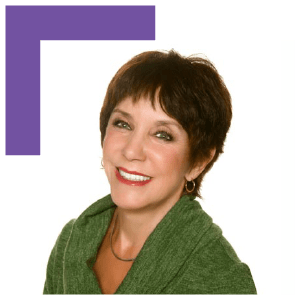 The author of the best-selling book Business in Blue Jeans: How to Have a Successful Business on Your Own Terms, In Your Own Style, and the blog of the same name, Susan Baroncini-Moe is an executive coach and business leader with over sixteen years of experience. She says that passion is overrated — instead you need to think about how you can be of value. “If I were starting a business today, I'd take a careful look at industries that are stable and in growth and think about how I could be of immense value to those industries. I'd focus on ways I could provide an indispensable product or service to those industries, so that, even if an economic downturn happened, they'd still need me, but I'd still be prepared to pivot if necessary. Staying nimble is absolutely critical to business survival these days. Follow Susan on Facebook and Twitter. 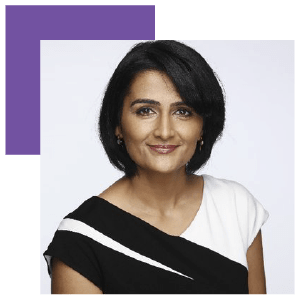 Shweta Jharjharia is one of London’s top business coaches, and the founder of the London Coaching Group. A serial entrepreneur with years of experience, Shweta is the author of Sparks. Instead of starting a business from the ground-up, she would buy a business that’s already up and running and improve it. Follow Shweta on Facebook and Twitter. David Mercer is a best-selling author of programming, web and business books. 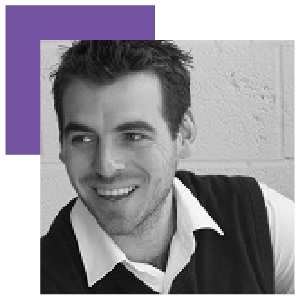 He founded SME Pals, a blog dedicated to helping entrepreneurs and small business owners thrive online by turning creative business ideas into profitable startups. He says that research is vital to any startup’s survival. “Find a gap in the market that has a passive income component and work out a way to make money from it as quickly as possible. A vanishingly small number of startups actually make a profit. More often than not founders spend far too much time focusing on their product/service and far too little time networking, marketing and promoting in order to get their first few paying customers. Securing a trickle of funds as early as possible is vital because it gets the business in front of customers and reduces the financial burden of starting up. This allows your startup to operate for longer (many side hustles are bootstrapped and fold because they run out of funds before they can become established). To get this right, you have to understand how your venture will make money right from the start. That’s easier said than done because it means knowing who your market is, what they want, and how to convince them to trust you and pay for what you offer. In order to do that you really need to put together a comprehensive business plan. It doesn’t matter if you are looking for investors or not; a good business plan will give you the information and data you need to find the shortest path to revenue possible. 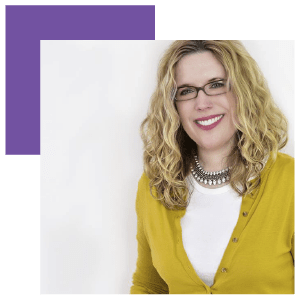 Shannon Willoby is editor in chief of The DRIVE Blog -- a small-business blog that provides advice for e-commerce entrepreneurs and senior director of content marketing for Scott’s Marketplace -- a website where small-business owners can sell their products. She’d focus on creating a phone app that solves people’s problems. Follow Shannon on Facebook, Twitter, and Instagram. Terri Levine, PhD is a business strategist and Chief Heart-repreneur® at www.heartrepreneur.com. She is a best selling author of dozens of titles including Turbo Charge How To Transform Your Business As A Heart-repreneur®. Dr. Levine assists businesses worldwide with business growth, sales and marketing. 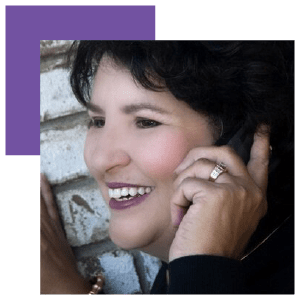 She has more than 40 years of business experience, encompassing work with more than 5,000 business owners and entrepreneurs in a variety of industries and is a sought after keynote speaker and hosts her own radio show and television show. “Look around. The job market has shifted. Automation has begun and will continue to grow. Full time jobs are going away and freelance jobs are increasing. At the same time the consulting/coaching industry is huge and is currently estimated at 100 billion dollars per year and is growing fast. It’s also really easy to reach ideal prospective clients for your business with social media. Plus, the business has low-overhead and affords financial freedom as well as life balance. All you need is a laptop and a cell phone to get rolling. There is no other business I would consider starting. 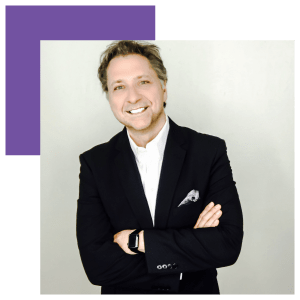 I’ve been in this industry for over two decades and I’ve helped over 5,000 people transition to this business because getting a consulting or coaching business going is very simple. You simply ask your target niche what they want (not need) and you listen to what is really bothering them in their business or life and then you create a real solution for their problem. They will happily work with you, even if you are a start-up. The consulting/coaching professions don’t demand that you build a website, create a funnel or waste time networking or you blog, or podcast or write a book. You are entering a profession with high profit margins and really going to be making a difference for others and only need to take a few of the right actions on social media and your ideal prospective client family members will engage with you. Another advantage to selecting this business is that you don’t need a degree, or credentials, an office, or a staff. You also don’t need to do face to face meetings, networking or spend your time creating proposals. If you set up your consulting/coaching business right, you will not be trading time for money which means you will have money rolling in while freedom rolls out. Prospects find you and engage with your services that are optimized and leveraged to give them real results while you spend little time in delivery. I highly suggest you pick one niche right now to be an expert in and then select one group of people to help with specific advise that will get them the results they say they want. Remember, people buy value, outcomes and results and if you help your client family members get the results or outcomes they haven’t been able to get on their own, they will buy your solution. All you need is one area that you can help people get results in. You pick that niche and then create amazing value for just that one group of people. You can get started today. Think of who you can help based on your own expertise. What kinds of people? What problems do they have? What industries are then in? Then create what I call a Core Unique Positioning Statement describing what you do. For example, my statement is: I help heart-based service businesses get more qualified prospects fast with my simple 3 step Command, Connect, Convert system — guaranteed. Follow Terri on Facebook and Twitter. 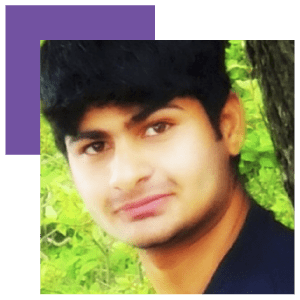 Adil Zaman is an internet entrepreneur. He is the founder and editor of fincyte.com, a business blog devoted to small business trends. Hundreds of business experts and entrepreneurs have shared their in-depth experiences and thoughtful views to date and the list of contributors is still growing. Follow Adil on LinkedIn and Twitter. 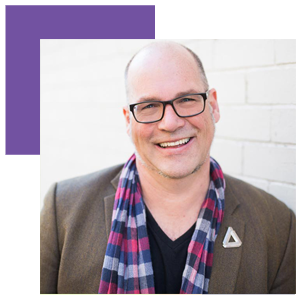 Roland is a business-life coach who helps small business owners get unstuck and build beautiful business and lives. 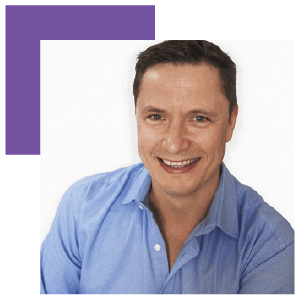 Roland is the founder and owner of New Perspectives Business Coaching based in Sydney and Launceston in Australia and The Hague in Holland. 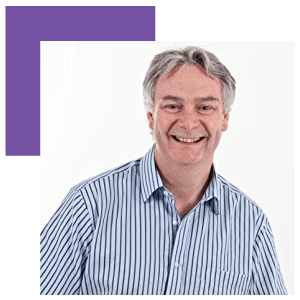 Roland commenced his coaching practice in 2004 after selling the building company he founded in 1984. You can subscribe to Roland's weekly One-Minute-Business-Tips or download any of his books, special reports and white papers from his website at www.newperspectives.com.au. “In my years in and around small business I've seen that the best, most fun, most profitable and most sustainable business models address three needs: The needs of the customer, the needs of the business and the needs of the business owner. Only by giving equal weight to all three is it possible to build a unique Beautiful Business (and Life). Follow Roland on LinkedIn and Twitter. After ditching the desk job, Sean Ogle sold his car and upped sticks to Thailand. He became the Location Rebel, teaching the world how they can travel the world and make money at the same time. He’s been featured on Forbes, the Huffington Post, and Entrepreneur magazine. “Most mass media publications serve very broad audience, and thus people who have very specific needs or interests often struggle to find communities or information on their niche of choice. I think one of the most underrated opportunities in 2018 are these super niche communities, or what I often call "niche-within-a-niche" communities. Follow Sean on Twitter, Instagram and Facebook. Copyright © 2019 Global Retail Technology Limited. All rights reserved.